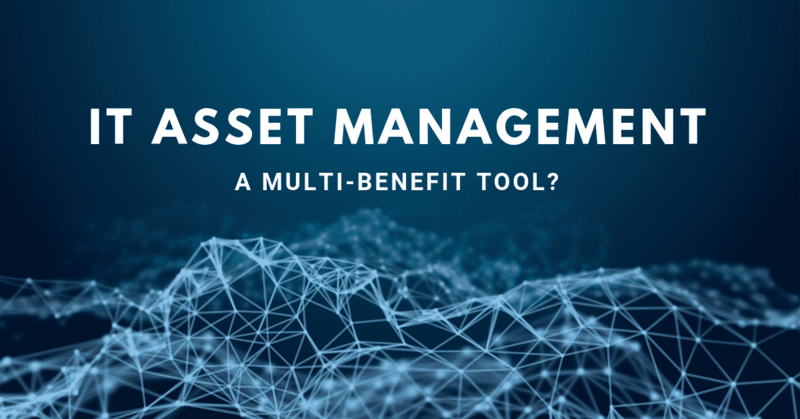 The processes, and tools that are put in place to manage, control, and protect all assets in an organization over time is called IT Asset Management (ITAM). Enterprises understand this is a key part of an IT organization’s strategy and can be used as a decision-making tool regarding hardware and software use, purchases, and redistribution. ITAM helps organizations to manage their IT assets more efficiently. Time and money are saved through avoiding duplicate or unnecessary asset purchases and ensuring that software licenses are reused where appropriate. This not only drives efficiency, as an effective ITAM solution will mitigate risk in terms of software audits and understanding the value and location of all IT assets. In addition, it will mitigate risks associated with the end of life hardware both saving money and avoiding risk to the enterprise. With visibility and control of your IT assets throughout their entire lifecycle, enterprises will drive down costs, optimize assets and ensure that your end users/customers get better value from the financial investment in IT. A robust ITAM tool makes a more stable production environment, providing key information to manage any incident and change management due to it the insight gained through the analytics of a complete ITAM tool. ITAM also requires fully functional incident management and request fulfillment process workflows all for complete transparency and traceability, as well as the potential for improved knowledge management leading to a better quality of service and improved customer satisfaction. How IT Asset Management relates to Telecom Expense Management and costs transparency? ITAM is not something that happens from one day to the next, and it is difficult to meet the true needs of large enterprises when both telecom and IT products and services claim to be 100% ROI or very expensive with no real proof to the business units. These IT solution costs run into the trillions of dollars to operate over the life of the contracts, and this overall cost is increasing at a rapid rate as enterprises move from a Cap X to an Op X business model. This is exactly what is happening today because both Telecom and IT costs are not charged back, in cases charged back incorrectly or with no detail. This is the intersection of IT asset management and TEM – today’s CIO’s needs to fully embrace this for both telecom and IT asset management in a single platform to provide full cost transparency. This will allow telecom and IT to operate as a service provider with a catalog of products and services that are aligned to the business needs, provide a defined cost model for each service, and a process to track and charge back the business units based on their real consumption of those services. To solve this ever-growing need, the CIO must adopt the correct technology and business processes allowing for full cost transparency. This is true technology expense management. Doing ITAM should be the easiest decision to make as an IT professional. By understanding your assets, you can balance quality against costs, improve customer satisfaction, and mitigate risk. Asignet ITAM solution is based on RPA workflows that enable full lifecycle automatization of all your IT asset management needs. Contact us to know more about our ITAM platform.